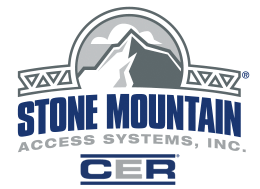 CPR, AED & First Aid Training | Stone Mountain Access Systems Inc.
Stone Mountain Access Systems’ Trainer is certified to provide the American Heart Association First Aid course. This course provides basic first aid and safety skills, equipping individuals to recognize and provide basic first aid care for injuries and sudden illnesses. Students will learn how to identify and care for a variety of medical emergencies, including severe bleeding, shock, musculoskeletal injuries and other sudden illnesses, as well as how to reduce the risk of disease transmission while providing care. Students will receive a wallet card upon completion of the training. Per CFR 29 §1910.1030(g)(2)(i) The employer shall train each employee with occupational exposure in accordance with the requirements of this section. Such training must be provided at no cost to the employee and during working hours. The employer shall institute a training program and ensure employee participation in the program. This training meets that OSHA requirement to have designated first aid providers trained in how to protect themselves and injured persons from the transfer of harmful pathogens from one to the other. The base per student cost of the course $50.